This past weekend my friend Sarah gave me a wedding announcement that she had cut out of the paper. It seems that my high school crush got married this past May. Congratulations! He’s a really nice guy so I hope that he’s very happy. Kerry Hillbilly and Jay Hot Stuff were united in marriage on Saturday, November 24, 2012 at 2:00 p.m. at The Roman Catholic Church. A reception and dinner immediately followed at The Moose (catering by Jerry). Music was provided by a really great DJ. On the eve of the wedding, the parents of the groom hosted a rehearsal dinner at the groom’s mother’s house where the ambulance easily found the address to take the groom’s brother to the emergency room later that night. The bride is the daughter of Mr and Mrs Hillbilly of Amish Country. The groom is the son of Mrs Karen of Three Doors Down from the Married Couple, and Mr John in Florida. Escorted by her father, the bride wore a stinkin’ gorgeous gown that she managed to get for a REALLY great price. The stunning dark blue train was gorgeously embroidered with silk thread and accented with lots of beautiful beads and crystals. 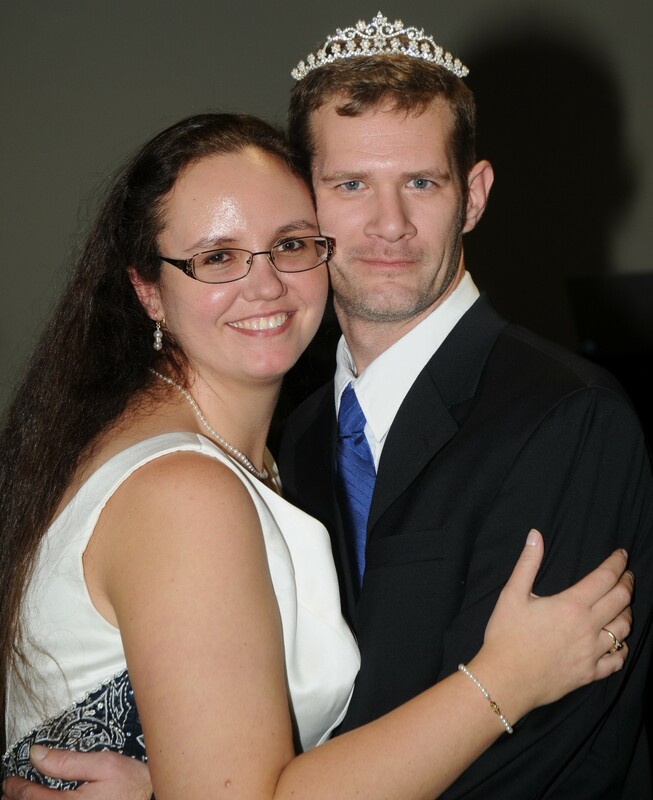 The bride’s head was adorned with a crystal and pearl tiara. In her hands she carried a bouquet of Wal-Mart roses, one of which was pink and represented the bride’s older sister (who was there in spirit). Sister of the bride Droof and best friend of the bride Pauline served as maids of honor. Brother of the groom Justin and cousin of the groom Eric served as best men. The bride is a graduate of Backwoods Central School. She received her bachelors of science degree in accounting from Beautiful Lakes College. She is currently employed as a quotes analyst for a contract manufacturer. The groom is a graduate of Big City School District. He bravely served in the Navy after high school where he taught many young pilots how to fly. He is currently employed as a metallurgic engineering manager in a local foundry. This entry was posted in Wedding and tagged Wedding. Bookmark the permalink.